Took the drone out for a spin over the weekend (actually multiple times :)). 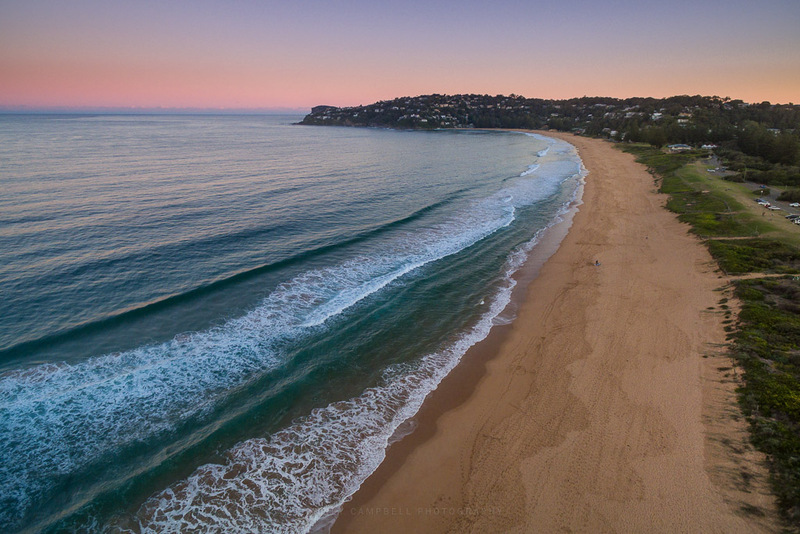 In this case I needed to take my eldest daughter out for a driving lesson so she took me up to Palm Beach for sunset. 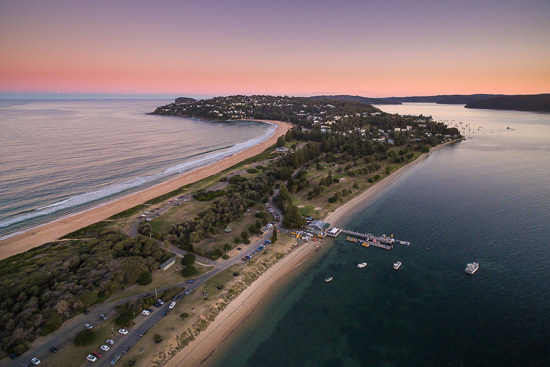 Palm Beach is northernmost beachside suburb on the northern beaches peninsula of Sydney. It’s located roughly 40km north of the city centre and takes around an hour or so to drive up there. On the way up here up there I’d intended on shooting towards sunset over the Pittwater (western) side of the peninsula, however by the time we’d arrived the sun was already dipping over the land on the other side of the Hawkesbury. There were no clouds in the sky so I wasn’t expecting much of a sunset anyway but as luck would have it the sky facing east away from the sun was a rainbow of beautiful pastels. We were standing next to the beach on the Pittwater side but it’s a clear view over to the ocean side on the west so was easy to send the drone over there to shoot some video and stills looking southward along Palm Beach above. 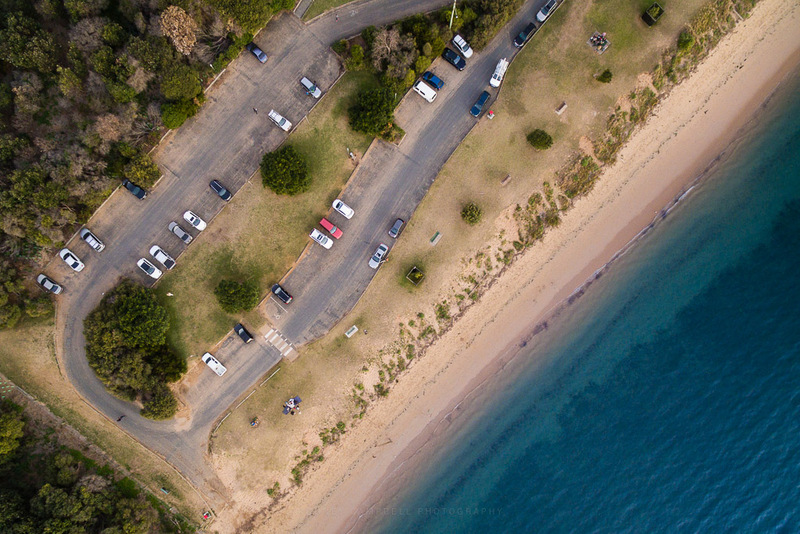 I’m really just starting to scratch the surface of the aerial still photographic possibilities of this marvellous DJI Phantom 4. The end of another beautiful day in Sydney… just time enough to head over to Palm Beach on the ocean side till it got dark and cold and then let my daughter drive us back home. 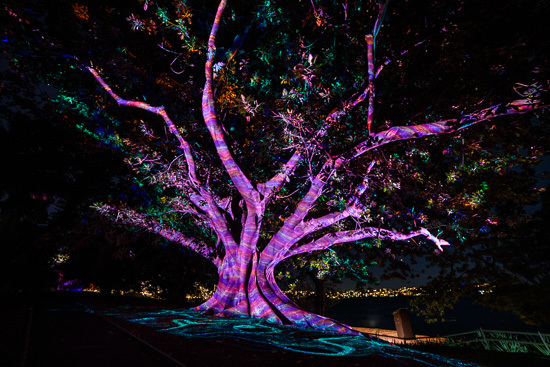 For the first year ever and to celebrate its 200th birthday, the renowned Royal Botanic Garden Sydney will explode with many types of illumination during Vivid Sydney. 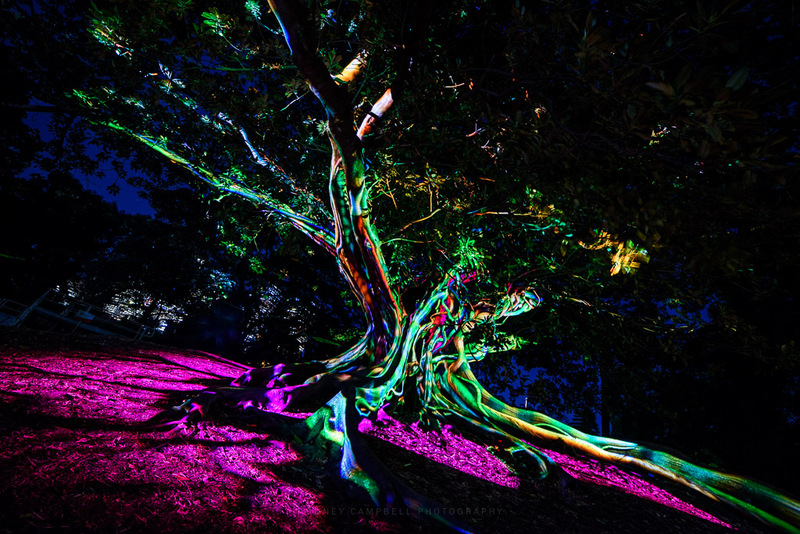 A highlight of the features in the gardens is Synthesis by the awesomely creative Ample Projects team. A heritage listed Moreton Bay Fig Tree in the Royal Botanic Gardens plays canvas to these beautiful light projections. Here is a little animated sequence of twenty one (21) of those frames. In practice however the still frame doesn’t capture the feeling or the mood of the smooth flowing animations and lighting as it moves progressively up and through the tree. This is one of those ones you have to see in person :). 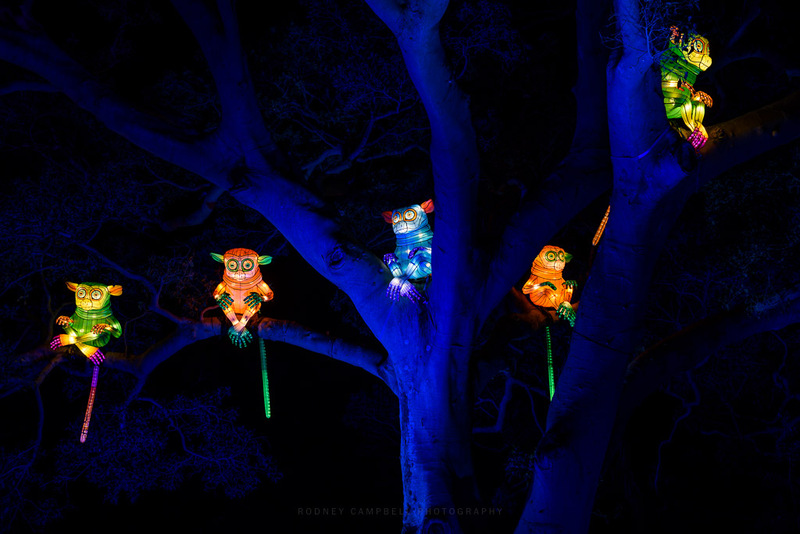 More of the amazing light creatures as part of Be The Light For The Wild at Taronga Zoo. 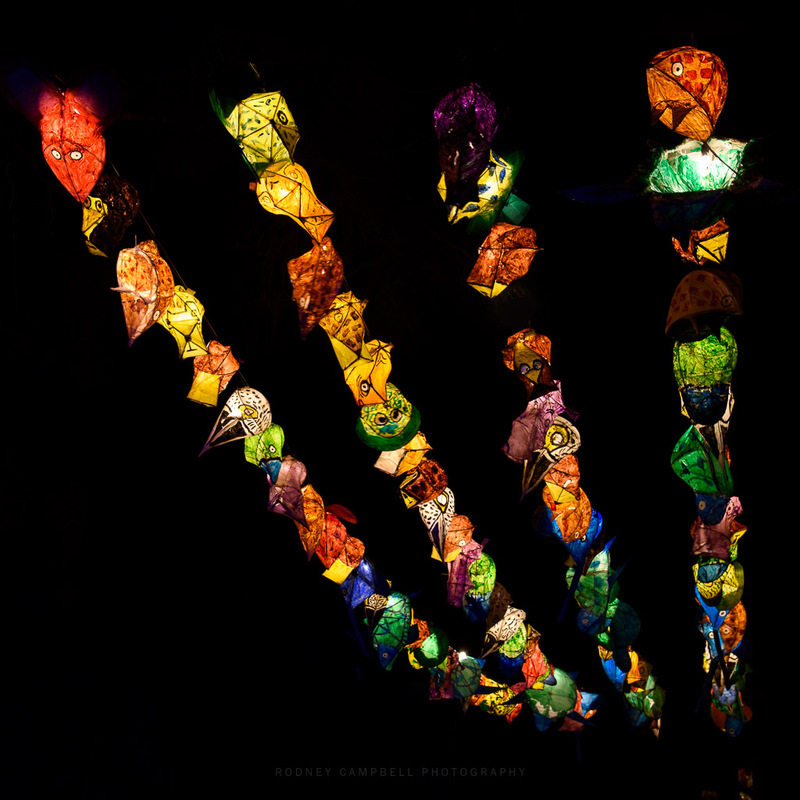 Some giant animal lanterns have appeared at Taronga Zoo as part of the Vivid Sydney light and music festival to celebrate the park’s 100th birthday celebrations this year. Many of these massive, brightly coloured lanterns, feature moving parts, interactive lighting and sound effects. Vivid Sydney at Taronga Zoo is open each night 27 May – 18 Jun from 5:30pm – 9:30pm, with last entry at 9pm. I was lucky enough to get to check out a special preview night of Be the Light for the Wild created by the awesome Ample Projects team and hosted by ANZ. My youngest daughter an I had a fabulous time exploring the Zoo at night visiting these marvellous light creations. 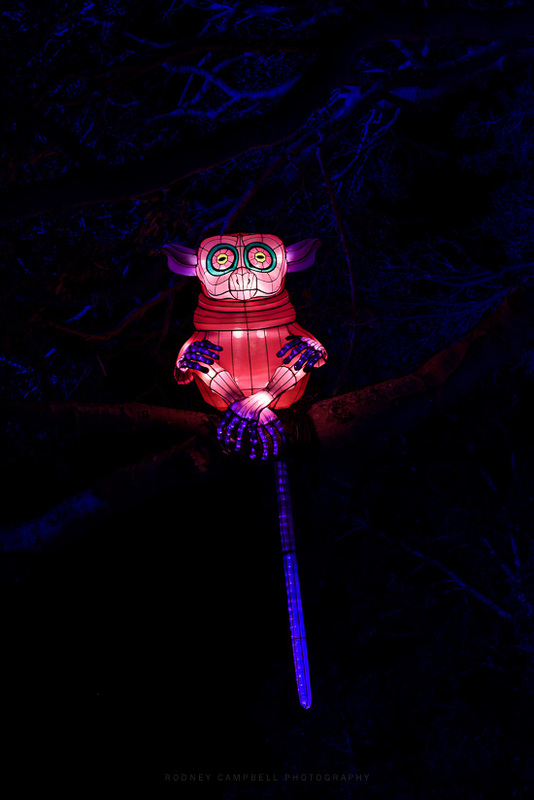 Taronga Zoo’s traditional animals of the wild play host to an additional cast of creatures including an echidna, chameleon, crocodile, cicadas and even a funnel-web spider, along with thousands of smaller lanterns made by NSW school students as part of the Zoo’s Centenary celebrations. 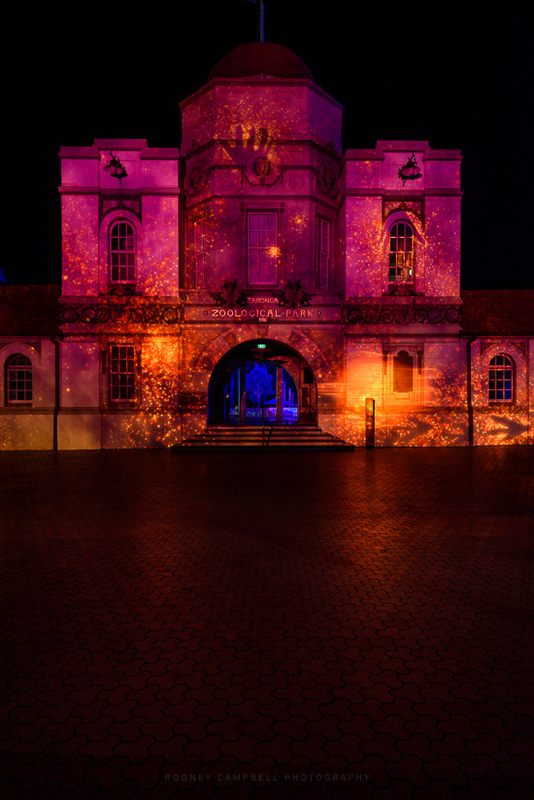 The front facade of the zoo also plays host to a fabulous building projection also created by Ample Projects. Above is a little animated GIF celebrating some of the images from the storyline. If you have the opportunity this Vivid to make your way over to Taronga Zoo it is well worth the visit. I was lucky enough to get to check out a special preview night of Be the Light for the Wild created by the awesome Ample Projects team and hosted by centenary presenting partner ANZ Australia. 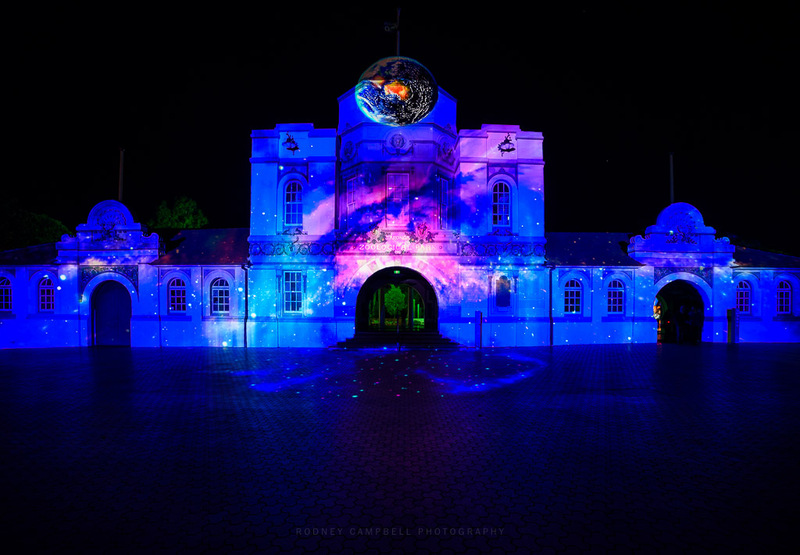 My youngest daughter and I had a fabulous time exploring the Zoo at night visiting these marvellous light creations. 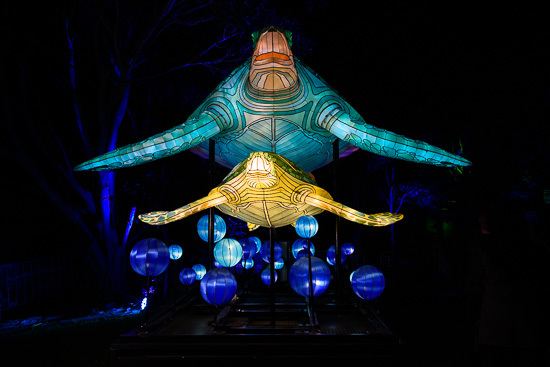 Be the Light for the Wild features ten critical species from Australia and Sumatra, ranging from the magnificent Asian elephant to the brightly coloured Corroboree frogs, species that Taronga is committed to protecting. 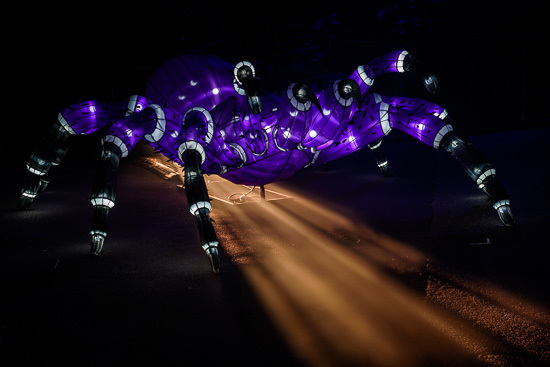 With interactive lighting, sound effects and moving parts, these giant light sculptures are among the largest and most technologically advanced lanterns ever to feature in Vivid. 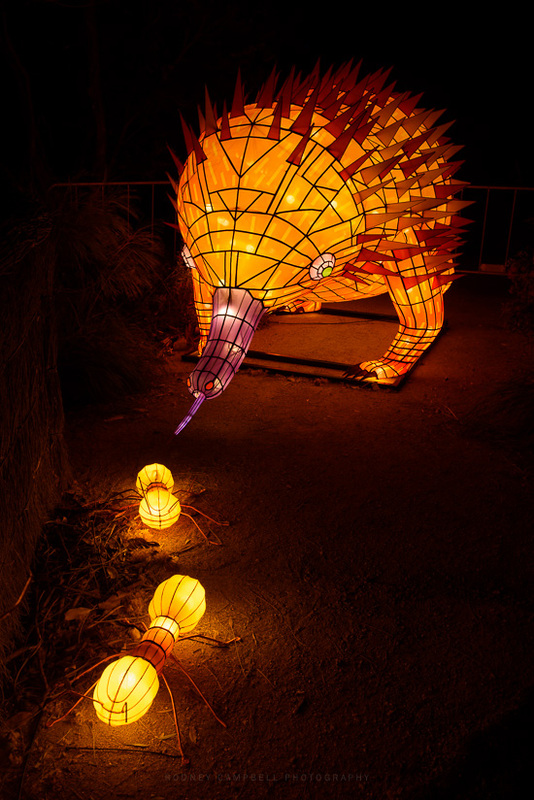 The quality of the light installations was fantastic, in particular my daughter and I loved the Echidna pictured up top. But there were so many other highlights including the giant funnel-web spider, the saltwater crocodile and the voice activated cicada’s :). 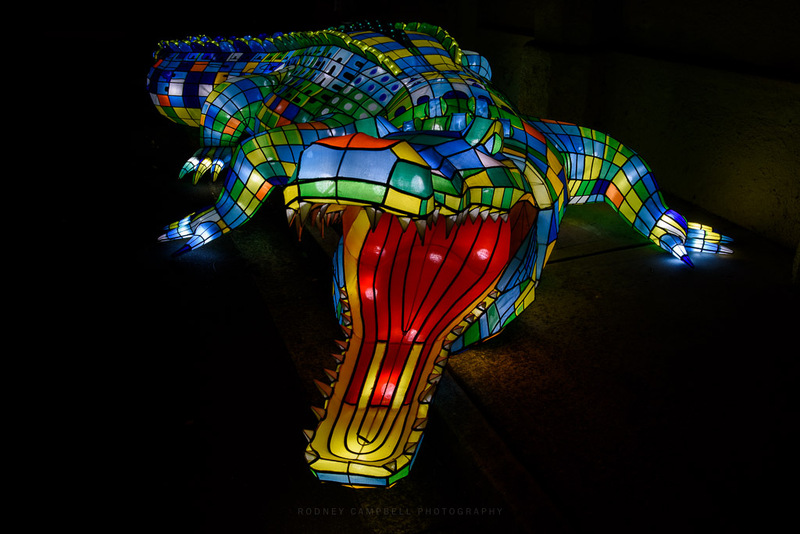 If you have the opportunity this Vivid to make your way over and in to Taronga Zoo it is well worth the visit to check out Be the Light for the Wild. Or if you’d like to donate to help Taronga conserve ten critical species then you can donate at http://taronga.org.au/legacy.